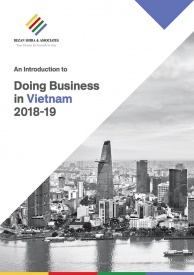 Divestments have been a major focus for the Vietnamese government as it aims to increase the efficiency of loss-making State-owned enterprises (SOE). In addition, divestments are also a significant source of revenue for the government that can help in managing the fiscal deficit and fund economic development plans. 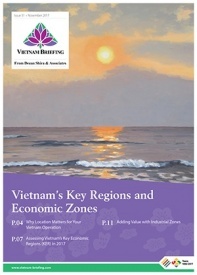 Equitization of SOEs and divestments in industries such as aviation, oil and gas, transportation, and agriculture offer exciting opportunities for investors planning on establishing themselves in Vietnam in the next few years. In August 2017, the government released Decision No.1232/2017/QD-TTg approving a list of 406 state-owned enterprises to be divested during 2017-2020. The new Decision not only lists the 406 approved companies marked for divestments but also includes mechanisms to accelerate and increase the efficiency of the divestment process. This has been included to address issues faced by investors during previous divestments, such as delay in the transfer of ownership and lack of clarity in valuation. There is also a provision allowing the rate of divestment and number of divested entities to increase in the next four years depending on the market. In addition to Decision No. 1232, the government issued Decree No. 126/2017/ND-CP in November 2017 on the privatization process of SOEs. It includes guidelines regarding the conversion of SOEs into joint stock companies. It is already in effect since January 1, 2018. According to the decree, SOEs can launch an initial public offering (IPO) through auction, private placement, underwriting, as well as book building. In addition, lock-in period for strategic investors during which they are not allowed to transfer their shares has been reduced from five to three years, while restrictions on profitability have been reduced from three to two years. In 2017, the government planned to divest capital from 135 SOEs but did so only for 17 firms. Divestment plans for the remaining companies were delayed to 2018. In the last three years, the government has earned VND 198 trillion (US$8.49 billion) from divestments, more than three times the divestment earnings between 2011 and 2015. In 2016, earnings from divestment reached VND 30 trillion (US$1.3 billion), while in 2017 it was VND 140 trillion (US$6 billion), including Sabeco’s divestment worth VND 110 trillion (US$ 4.7 billion). In the first half of 2018, the government received VND 28.1 trillion (US$1.2 billion) from equitization of SOEs. In the first eight months of this year, 10 SOEs out of 85 were approved for equitization, amounting to VND 29.5 trillion (US$1.26 billion). In here, we will discuss the major divestments in the shipping, oil & gas, beverage, and airlines industry. Vinalines, the country’s largest shipping company is trying to reduce its stake in ocean shipping companies but will maintain ownership in marine logistics companies to ensure the development of marine logistics network and reduce losses in ocean shipping companies. In addition, the company is also divesting its stake in ports. In the first six months of 2018, Vinalines posted a profit of VND 73 billion (US$3.23 million), compared to the annual target of VND 668 billion (US$29.56 million). On September 5, 2018, Vinalines sold 5.44 million shares for VND 54 billion (US$2.39 million) at its initial public offering (IPO), accounting for only 1.1 percent of the 490 million shares which were up for sale. The company is planning to offers its remaining shares in 2018. Vietnam National Oil and Gas Group (PetroVietnam) will complete the divestment from several subsidiaries by 2020. They are allowed to retain their entire holdings in only the parent company PetroVietnam, National Southern Spill Response Centre, and PetroVietnam Manpower Training College. Subsidiaries being divested until 2019 include PVI Holdings, Phuoc An Port Investment, and Exploitation Oil and Gas JSC, Green Indochina Development JSC, SSG Real Estate JSC, PetroVietnam Trade Union Finance JSC, PetroVietnam Construction Joint Stock Corporation, and PetroVietnam Maintenance and Repair JSC. In addition, stakes in PetroVietnam Gas Corporation, PetroVietnam Transportation Corporation, Binh Son Refinery and Petrochemical Co., Ltd., and PV Power will also be reduced to less than 50 percent. In addition, stakes in PetroVietnam Gas Corporation, PetroVietnam Transportation Corporation, Binh Son Refinery and Petrochemical Co., Ltd., and PV Power will also be reduced to less than 50 percent. In the first five months of 2018, the company’s revenue reached VND 234.5 trillion (US$10.28 billion), 21 percent higher than its five-month target, accounting for 40 percent of its annual target. Vietnam Airports Corporation (ACV) and Vietnam Airlines (VNA) are going to divest large stakes for future funding requirements. ACV will sell off 20 percent of its state stake in 2018 and 10.4 percent in 2019, while VNA will sell 35.16 percent in 2019, thus reducing state ownership in the firms to 65 percent and 51 percent, respectively. These divestments offer a chance for foreign investors to enter the aviation market. There already is a considerable interest from investors for both the entities. The aviation industry in Vietnam contributes US$6 billion annually to the GDP and grew 29 percent year on year in terms of passengers in 2016. Already, Paris Aeroport has become ACV’s strategic investor and Japan’s ANA Holdings has acquired 8.8 percent stake in VNA for VND2.38 trillion ($108 million). The two state-owned breweries, Saigon Beer Alcohol Beverage Corp. (Sabeco) and Hanoi Beer Alcohol Beverage Corp. (Habeco) have already attracted considerable interest from foreign investors. Sabeco has close to 40 percent market share in the beer market, while Habeco accounts for 16 percent. In 2017, the government sold a 53.9 percent stake in Sabeco to ThaiBev for US$4.84 billion. The government is looking to divest its 81 percent stake in Habeco. Carlsberg, which currently owns 17.3 percent of Habeco is planning to increase its stake in the company. Other major divestments include Vinamilk, Vietnam Southern Food Corporation (Vinafood), Vietnam Urban and Industrial Development Investment Corporation (IDICO), Vietnam Rubber Group (VRG), companies under Vietnam Electricity Corporation (EVN), Song Da Corporation, and MobiFone. The 2017-2020 plan is different in various aspects from the 2011-2015 plan. In the 2011-2015 plan, only SOEs in real estate, securities, finance/banking, insurance, and investment funds were allowed to be divested. This led to revenues from sales to be confined within the SOEs and only changed the investment portfolio of SOEs. In contrast, for 2017-2020, the divestment will lead to a change in the state’s portfolio of assets. From now onwards the sales revenue from divestments will be directed towards public investments projects unlike in 2011-2015, when revenue was held by the SOEs, leading to an increase in the state capital in the business. In the recent divestment policy, the government has also added a provision to divest in installments, with the rate fixed at 20 to 36 percent of the total holding. This has led to an increase in the number of divested SOEs. The government issued Decree 131/2018/ND-CP (“Decree 131”) in September 2018, regulating the functions, tasks, and organizational structure of a new agency called the Commission for the Management of State Capital (CMSC) to oversee the management of SOEs. Decree 131 is already in effect since 29 September 2018. Five ministries from Industry and Trade, Transport, Agriculture and Rural Development, Information and Communications, and Finance have transferred their representation rights to the CMSC. CMSC will manage 19 SOEs, in which the government stakes amount to VND 1,000 trillion (US$42.9 billion), almost 20 percent of the country’s 2017 GDP. The agency will only monitor the use of State Capital, rather than production and trade. The major investment hurdles faced by foreign investors include unfair valuations, unable to acquire a controlling stake, and delays in the transfer of ownership. Investors have often highlighted the delay in the process of transferring stakes from ministerial or provincial people’s committee level to SCIC that handles divestments. To reduce delays, the government in their recent decision, has asked the people’s committees in each city/province to report prior to the 25th of the last month of each quarter as well as on December 25 each year, to the Steering Committee for Enterprise Innovation and Development, Ministry of Finance (MoF), and Ministry of Industry and Trade (MoIT) for progress. 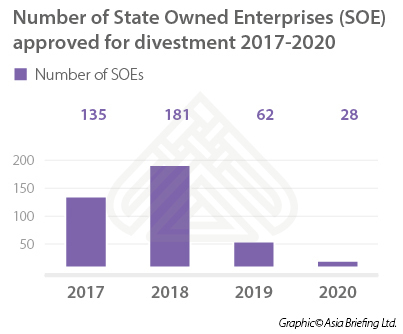 According to a recent study by the Central Institute for Economic Management and the American Chamber of Commerce (AmCham), divestments in SOE has been slower than expected as it has failed to attract strategic shareholders, especially international investors. Investors have highlighted the limitation in foreign ownership as the major reason to not invest. In addition, the lack of transparency in the divestment process, unreasonable evaluation of enterprises, poor management, existing company liabilities, and incompetent staff were highlighted as the other factors affecting investor’s sentiments. The government needs to attract strategic shareholders, especially international investors to invest in the SOEs. This will not only bring in the much need foreign capital, but also lead to value addition such as newer technologies, administrative skills, and access to newer markets, which will lead to a more sustainable growth. To do so, the government has to increase transparency regarding regulations, reduce red-tapism, and incorporate international practices for determining the business value and transaction cost of shares to ensure clarity. The government has to ensure that sufficient time is given to foreign investors for their due diligence prior to bidding to increase chances of investment. Foreign investors are the key to these divestments, bringing in the much-needed capital. Equitisation offers investors an opportunity to enter the market in major industries such as food & beverage, telecommunications, aviation, energy, shipping, and retail and invest in companies with a dominating market share. Investors should ensure clarity about management control, corporate governance practices, technology transfer, organizational structure, and future options for increasing stake in the SOEs. In addition, investors should carefully identify the decision makers to influence negotiations. Decision makers in SOEs not only includes the management members, but also the government officials in agencies overseeing the divestment process. Editor’s Note: This article was originally published in September 2017 and has been updated to reflect recent developments.